Grow Today…Prepare for Tomorrow – Lead. Learn. Grow. I got to attend PD today! My approach to professional development is to learn from and with my colleagues but to also exchange ideas with innovative thinkers and great minds. In my opinion that typifies the ultimate professional development experience. I’m a firm believer in treating everything as an opportunity to learn. So today, I focused on learning and note making. I thought I would share. Hire the best – Don’t allow yourself to be intimidated by other people’s talents. Great leaders surround themselves with great people and intentionally hire the best staff and administration. How are you making yourself invaluable? What is it that you do that distinguishes you from others. Identify your skill. Be specific. Be able to articulate it to others and be able to sell yourself. You have to be one of your greatest advocates. Form Mule and Auto Crat are powerful Google Form add-ons that should be apart of every Ed Leaders tool box. Check out the linked tutorials, if you don’t believe me! If This Then That (IFTTT) changed my life! Download the app and let the “recipes” change yours too. Micro-political leadership is all about your staff. Before you can provide critical feedback, you have to make some deposits in your relationships with staff. Reflection Questions: How do you make yourself more accessible to teachers and staff? In your daily schedule, when are you most visible? How do you engage with informal groups within your school? Bonus: Learn to embrace productive conflict. – “Fear of conflict is almost always a sign of problems within an organization.” This was a powerful affirmation that productive conflict, in a trusting environment, has the opportunity to be impactful and a culture-shifter. I’m always interested in hearing from you! 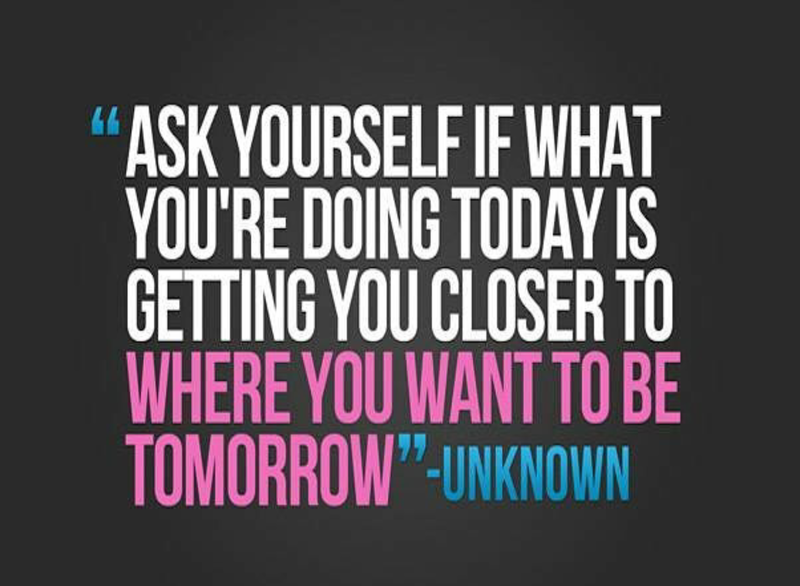 What did you do today that moved you closer to where you want to be in the future? Thank you so much for sharing. ThIs wonderful information that I can use to help build me as a teacher and a future educational administrator. I love it…..Great job!